At Bybrook Furniture & Event hire we have an array of stunning table centrepiece hire options to add glamour and professionalism to your weddings, engagements, adult’s and children’s birthday parties and other special events. Add opulence and glitz to your tables with our table mirrors that sit flat on the table and reflect flowers or candles beautifully. 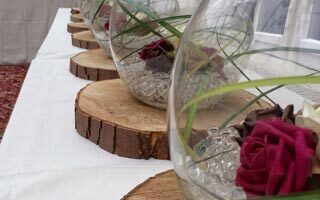 We also have a gorgeous range of glass centrepiece hire options including golden fish bowls, tall lily vases, and mason jars. You can fill these with colourful flowers or our glamorous range of glitter balls. For guests who choose to bring along meaningful cards with money, we have charming olden-style red or ivory post boxes as well as enchanting wishing wells to entertain your guests and keep your gifted envelopes safe. Fulfill your childhood desires with a sweet cart and sweet jars with tongs, perfect for children’s parties or baby showers. Capture beautiful messages from your guests with our range of wish trees and tree table stands, which add magic and wonder. 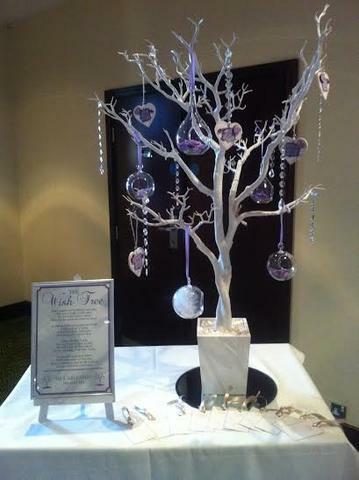 Our LED love sign, blossom tree, and LED glitter balls can add a gorgeous luminescent touch to your wedding or engagement. Or perhaps you want to go above and beyond with a whimsical rotating Ferris wheel that will impress your guests and transport them to a nostalgic time in their lives. For a finishing touch to your tables simply add our table runners available in boho hessian and classy lace. For all your table centrepiece hire needs, speak to our friendly team of experts on 0116 2530888 and get creative with your centrepiece hire today.